How many times this guy altern* will post the same stuff? @Bastos out of curiosity what is "my people time round" exactly? I think Bastos got autocorrected, it should be Pebble time round. My phone is a bq Aquaris E5HD ubuntu edition and now loaded with UBports image. My car is a Citroen C4 Picasso with the MyWay system from Harman. The version of this system is rneg_D_R50b_R50.03. That should be the newest one. First when the two sides dont now eachother and starting the connection/ coupling from the car, all is working. It is possible to make calls and to see the addressbook of the phone. After this when trying again the connection is not made anymore. The phone says that the car is connected, but the car says the phone is coupled, but not connected and connection is not possible. @Nikfrager hi, unrelated to your problem but maybe you don't know this. If you want to edit a previous comment, click on those vertical 3 dots on the right hand side, near those upvote or downvote arrows. A big thank you for all your work! On Meizu Pro 5 I can connect to my Nokia J headset but when I attempt a phone call I can hear only noise. BT connection with Pebble Time Steel works fine (turned on all the time). Occasionally it looses the connection (watch warns me about). I need to turn off/on the app to reconnect. I am also using my Pebble Time Round with Rockwork on my OPO with UBports devel. When connected, it works fine, but every now and then the phonse loses contact with the watch. After that it is a nightmare to reconnect. I get multiple istances of Pebble Time F77D in the bluetooth settings and it won't connect properly. When that happens, I am prevented to "forget the device" from the settings and I have to fiddle a lot to get it to reconnect. Another strange thing is that sometimes my bluetooth settings contain only one device - the watch - althoug I have two other. Rebooting the device once or sometimes twice resolves the issue and all my known bluetooth connections are visible in the settings. Only then will my Pebble watch connect properly. The other issue I have is that I have yet to get audio work when connected the "My V70" Volvo car kit. It connects fine, but it is impossible to hang up a call from the car kit. Update on actual status: Connections are working to Headset and others, i had to deactivate all the other BT surrounding and connect one item after the next. As long as it takes. Admin(s) of this forum is quite ridiculous. BT with Pioneer car stereo sometimes requires BT restart in tablet when using it with M10 FHD. It connects, but audio does not go through. Also connection time is pretty long ~10s. I have a 2012 Ford Focus (SYNC) and a OnePlus One. The BT connection is OK once connected, however quite frequently when I have turned the ignition on, it may appear that they have automatically paired but when I play from Podbird or from the Music app, nothing happens. I then have to (from the car console) disconnect the phone, begin to play something on the phone and then reconnect it. Once I've done this there's no further issue. Unfortunately so far, calls don't seem to be working with either Mic or Speakers. A couple of hours after posting the above, the BT connection to the car had a complete meltdown and refused to connect even after several restarts of the phone. However the next day, it connected OK again and I was able to listen to audio from the phone. Suddenly a call comes in and lo and behold I was able to answer it from the steering wheel control! I had the call come through to the car speakers and the microphone was working too! This is the first time I've had a successful hands-free phone call using the OnePlus One. I'm now guessing that there are intermittent issues with the BT connection between these devices. 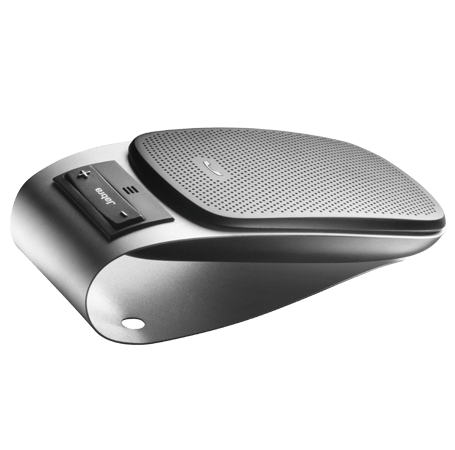 At the moment I am testing a Jabra Drive. So this is a very standard car kit. No telephonebook or other fancy stuff. Only phonecalls. For now it looks good. It connects very fast. And the sound works! But the first time I connected the device everything went very smooth. After someone called me the trouble began. Could not connect anymore. Pushing the button (for answering a call) I could only see the device connecting and then it was disconnected again. So I tested a lot of things with the phone and the Jabra Drive. Nothing worked. Finaly I pushed the button again, for a very long time. Since then, everyting is fine again! So, it is not rock sollid stable. But it works a lot better then my Parrot CK3100 which never gave any sound. I wil keep you posted testing the device.